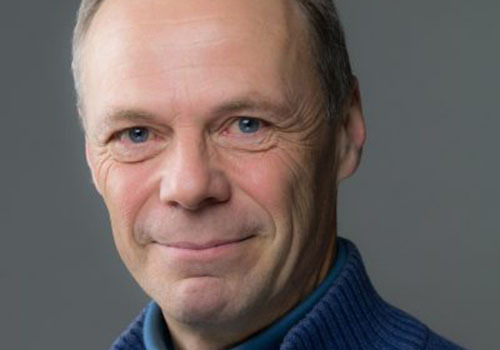 Michel Wattiaux, professor of dairy science, has been named interim director of the Center for Integrated Agricultural Systems (CIAS), effective March 1, 2019. In this role, Wattiaux will provide continuity of leadership for the center, which operates a multi-disciplinary research and outreach program focusing on developing sustainable production and marketing strategies for small- to medium-sized agricultural and food enterprises. “Michel’s demonstrated record of interdisciplinary research and his extensive experience with dairy make him an excellent fit to provide leadership and vision for the center’s efforts to support agriculture in Wisconsin,” says Bill Barker, CALS associate dean of research. Wattiaux joined CALS in 1992 as a staff member in the Babcock Institute, a position that focused on international dairy extension work. In 2000, he joined the faculty in the dairy science department, in a position with instructional emphasis. Wattiaux has developed numerous courses for the department over the years, including interdisciplinary courses that draw students from across CALS and the UW, and has been honored with many teaching awards. He has used the tools of educational science research to develop a scholarship in teaching and learning. Wattiaux’s dairy-related research program focuses on the ties between cow nutrition and environmental impact. He has been involved in the college’s DairyCap grant, conducting research on greenhouse gas emissions from U.S. dairy operations. His international work involves assessing the overall sustainability of dairy farms, focusing on the integration of social, economic and environmental factors. He is also a member of the Global Health Institute Advisory Committee. As CIAS’ interim director, Wattiaux plans to utilize his experiences with agricultural systems and sustainability to continue to build on the strengths of the center, enhancing its work developing healthy, resilient agro-ecosystems; connecting agriculture to human nutrition and health; and building shorter food supply chains that better support farmer livelihoods. A significant part of the job involves fostering opportunities for CALS personnel to work together on multi-stakeholder and multi-disciplinary research to help advance sustainable agricultural and food systems. “I’m looking forward to work with faculty and staff — from both the natural sciences and the social sciences — to achieve the center’s vision to strengthen the economic, environmental and social dimensions of sustainability of our state’s food systems,” says Wattiaux. Wattiaux grew up on a dairy farm in Belgium and was the first in his family to go to college. After earning his bachelor’s and master’s degrees in agricultural sciences in Belgium, he came to the U.S. on an International 4-H Youth Exchange and lived on farms throughout the country. He earned his doctoral degree in dairy science at UW–Madison in 1990. Wattiaux steps into the position as current CIAS director Michael Bell, who has provided sound leadership for the center for the past seven years, returns full-time to his faculty position in the Department of Community and Environmental Sociology. This story first appeared at ecals.cals.wisc.edu.